Planned Parenthood spent three years submitting plans to the city and abruptly gave up in 2010, leaving the property to sit idle for a total of nine years. They finally sold the property in 2015 for a $1.6 million direct loss. Ron Paul is Coming to Fullerton TONIGHT! Kelly Thomas Story Stirring Worldwide Outrage? Hey Royce, Rohrabacker Gets It, Now Get With The Program! 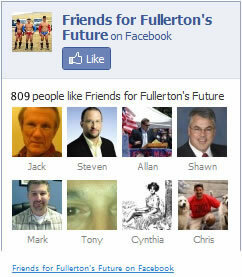 Impending Invasion of Fullerton By Whack Jobs and Wing Nuts? Moorlach Tells It Like It Is! Dear Friends, the video clip below is another in the series in the “must watch” category. Please watch and listen to Leslie Dutton of Full Disclosure Network interview Orange County Supervisor, Tax Fighter and Friend John Moorlach on the topic: Will Unions Destroy California?